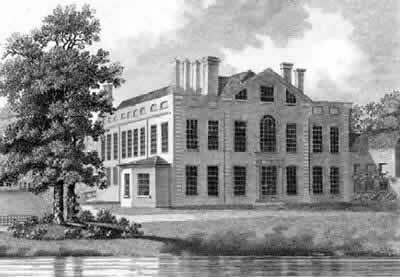 During the research of the existing Coley House at Coley Park, it was clear that a previous manor house preceded it. This earlier building was adjacent to the farm on the west side. It was built by the Vachell family around 1555 and lasted until about 1802 when it was no longer worth rebuilding due to its damp location near the Holy Brook. Note: The sensus information for former residents of Coley House has moved to its own page. Click HERE to visit. Location: Originally adjacent and to the west of Coley Park Farm, Reading, Berkshire. The site is now partly covered with council allotments. 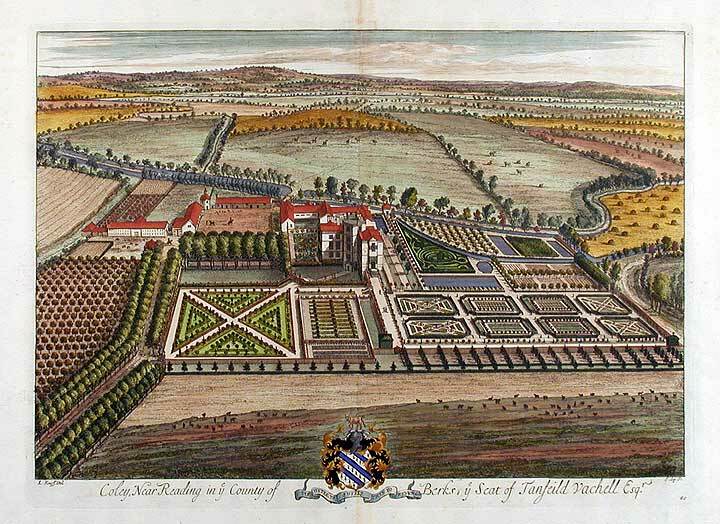 Thomas Vachell (1537-1610) built the first stately manor house on the Coley Park estate adjacent to the now restored Coley Park Farm and fronting the Holy Brook Rivulet. Construction commenced around 1555, during the reign of Queen Mary, a staunch catholic just like Thomas. Prior to construction of the manor house, much of the estates and surrounding areas were farm land. The Vachell family already had a house (of some description) at Coley for more than 200 years, probably located in the older inner Reading district of Coley. 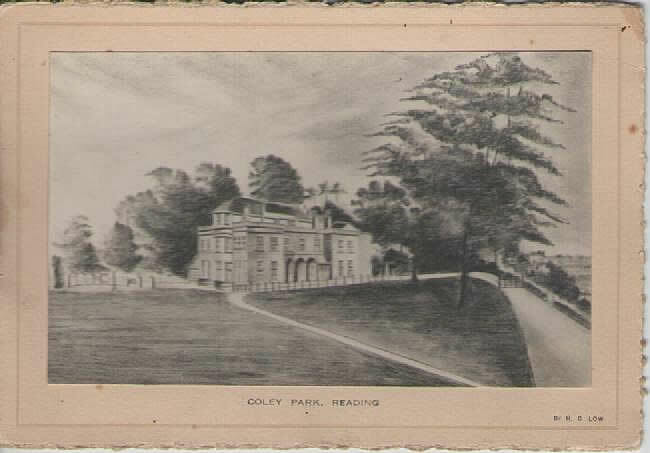 The Vachell House was later more commonly known as Coley House which now leads to confusion with the Coley House that still exists today at Coley Park. This newer house or manor is documented later on this page. An early drawing of Vachell House and Coley Park estate at the time of Tanfield Vachell (1602-1658). Note the Dutch inspired gardens and ponds that were very fashionable at the time. At the farm can be seen the stables and dovecoat. By the end of the English Civil Wars in 1651, Vachell House was apparently in a bad state of repair. The current owner Tanfield Vachell (1602-1658) proceeded to rebuild the main house and it closely resembled the current house in both height and proprtions. Huge gardens were laid out in a geometrical pattern of paths, flower beds and fish ponds, being influenced by the Dutch fashion at that time. 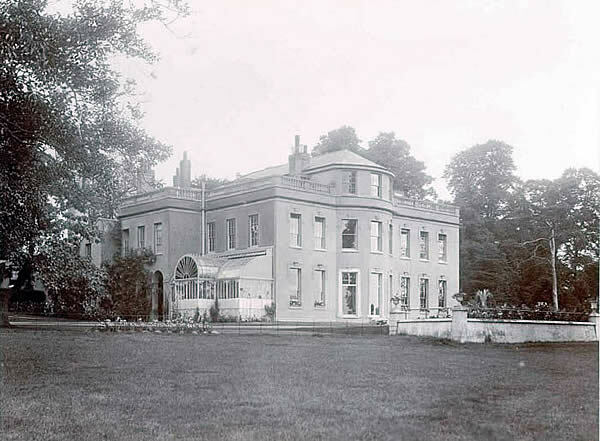 One hundred and fifty years later, the Chamberlayne family were in possession of Coley Park Estate. The following plate drawing was dedicated to William Chamberlayne by his much obliged obedient servant W.Poole (as per the inscription). William Chamberlayne held the seat of Coley Park for a short eight years from 1792 until his death in 1799. The estate passing to his son, William Chamberlayne Jnr. 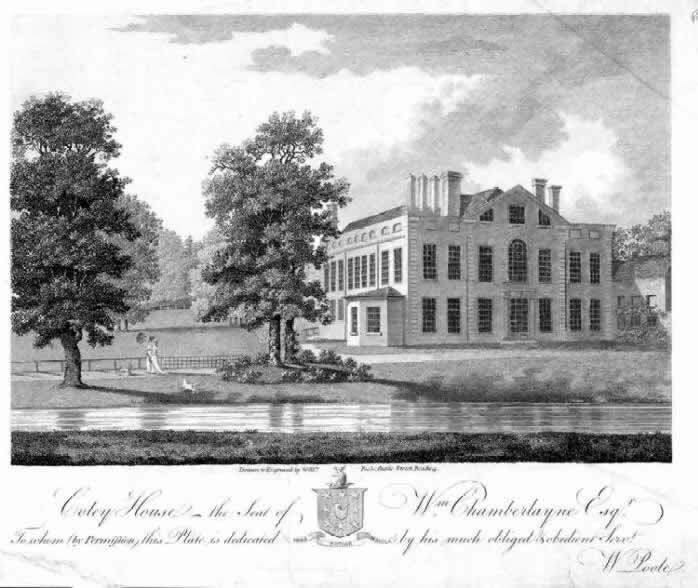 This c1798 drawing of 'Coley House' is believed to be the original 'Vachell House' located near Coley Park Farm. Due to many restorations and additions over the years, it would have been very different to the first house built in c1555, some 240 years earlier. The above plate drawing is at first strikingly similar to the current Coley House built by John McConnell in the early 1800s. It is known that stone and materials were recycled from the building for construction of the new house, but to keep the outward appearance almost unchanged from the original is interesting. The obvious differences seem to indicate this is a valid drawing of the older original Coley House. You can compare some of the building differences with the image of the current house below. This building is flat across the front and not rounded outwards in the centre section. The central attic is a triangular shape. 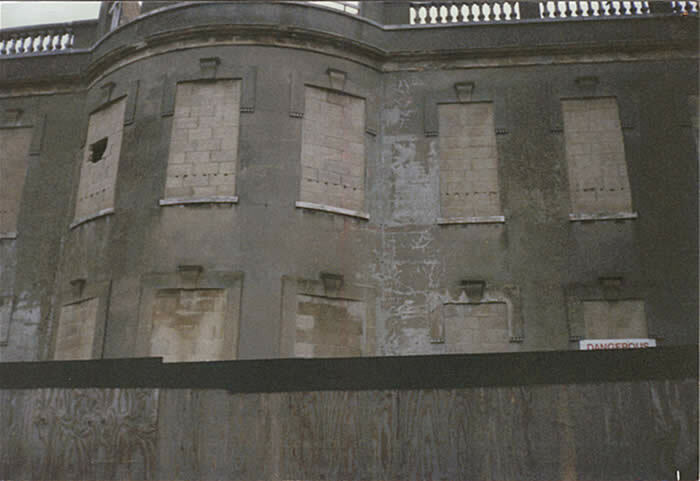 The parapets are panelled, where the current house is balustraded all the way around. The central upper storey window is arched. Most notable is the smaller single storey building attached at the right. This building looks older and slightly out of character with rest of the design. It may have been part of the earlier house and strikingly similar to some of the nearby farm buildings of the early 17th century. Looking at the whole image (click to enlarge the image), the house is depicted as being located close to the Holy Brook stream with fields stretching away to the left, and this would be at the right position according to an earlier drawing (see top of page). Most, if not all of the gardens, paths, flower beds and fish ponds of Tanfield Vachell's era have been replaced with rolling lawns and river walks. (Today, council allotment gardens cover the site of the old house and nothing remains). Out of view just to the right of the drawing, would have been the boat house and the west bridge over the Holy Brook, with the farm buildings and servants quarters situated at the nearby farm. Location: Wensley Road (Swallows Croft), Coley Park, Reading, Berkshire. 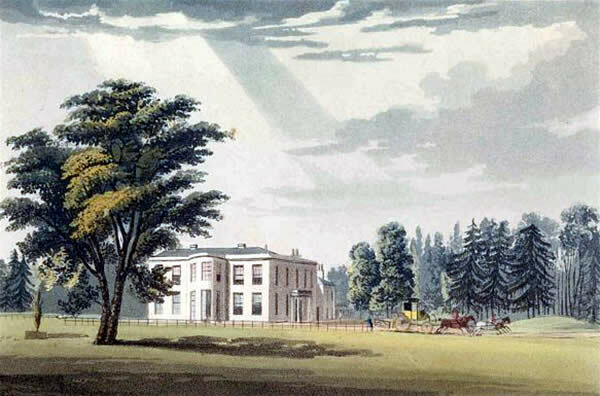 John McConnell, a wealthy businessman of Sloane Street, London, purchased Coley Park estate in 1802. 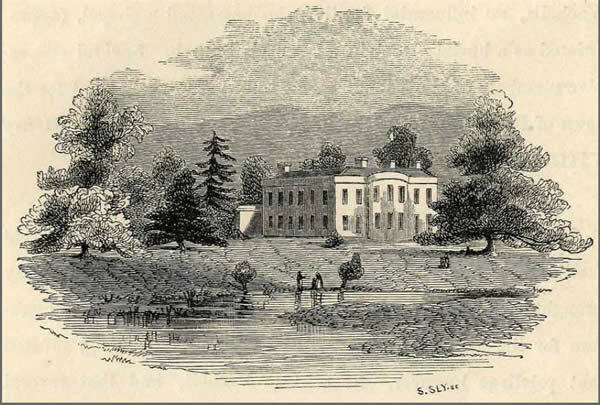 McConnell decided it was a better option to construct a modest new manor house a few hundred yards (metres) to the north and on higher ground (partly due to the seasonal flooding of the Holy Brook stream), instead of trying to restore the old Vachell House. The architect was D A Alexander (see insert below). The new manor house is the large grey stone house that still stands on Wensley Road (or more precisely, Swallows Croft since the 1990's). It was named Coley House, but was commonly referred to as the 'Mansion'. Today it is part of the Berkshire Independent Hospital (formally Capio Private Hospital). Stone, timbers, fittings and materials were salvaged from the old ruined Vachell House to re-use in the new structure. The rest of Vachell House was eventually demolished and leveled. Today, the area is mostly covered by council allotment gardens. Architect D A Alexander was a British Architect and Engineer. He was famous for his building designs in the grandeur and simplicity characteristic of Romantic Classicism. Gaining on his experience on the recently completed Mote House in Maidstone, where the original Mote House was demolished and a new mansion constructed, it followed closely to the requirements of John McConnell where the old Coley House was to be demolished and a new house constructed. It is not precisely known when the new Coley House was under construction but estimates are from 1802 to 1805. 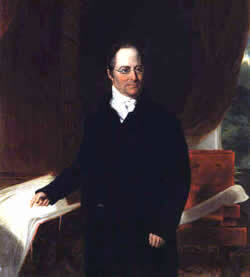 Alexander was also the surveyor to the London Dock Company between 1796 and 1831 and was responsible for the early development of the London Docks with the construction of warehouses starting in 1802. Other famous works include Dartmoor Prison and Maidstone Prison (two of the oldest gaols still in use in the United Kingdom), the Rochester Bridge, extensions to the Queen's House (or the Royal Naval Asylum) in Greenwich, London, the Old Light lighthouse on Lundy Island, and the lighthouse towers at Harwich. Shortly after Coley House was built, more trees were thickly planted around the farm to hide it from the wonderful views enjoyed from the front of the new Coley House. Much of the original formal manicured gardens (popular by the mid-sixteenth century) which covered a large area from the farm to where Heron Way is today, had already been long ploughed and leveled, and were replaced by grass covered lawns which bloomed with the colour of buttercups and daisies in early summer. The new house according to existing plate drawings, was smaller and more symetrical than today. The house originally being two storey without the attic level, consisted of 2 bays, 3 segmental bays and another 2 bays, thus having seven windows across the front view, instead of the current eight. As can be seen by the drawings below (click to enlarge), they are very similar. The 1823 image shows a small portico for the east entrance, where today the house has a fine arched coach door known as a porte-cochere. Smaller two-level and single storey buildings at the rear were most likely the kitchen and wash house. Servants were usually accommodated at the nearby farm. John McConnell sold the estate and the new Coley House only a few years after completion to John Berkeley Monck in 1810, whose family would own the house for the next 127 years. According to the English Heretige website, the house was altered in the 1840's by the then owner, John Bligh Monck. It does not state all the work that was carried out, but it is possible the house was extended on the right-hand side and the attic level was added to the roof during this period. The staircase is mentioned as being renovated with marble balusters, which had remained virtually unchanged until the 1990's, when the staircase was destroyed by arson as the house lay derelict. Early 19th Century (altered circa 1840). Architect D A Alexander. East front: 2 storeys and central attic, rendered, balustrade parapet over cornice. End 2 bays break forward on each side. 7 bay front, glazing bar sashes with raised upper surrounds on guttae, and keystones. Porte Cochere off-centre left, also rendered, of 2 arched bays. Small conservatory right of centre on twisted columns. 2 dormers, small extension to right. Original tripartite doorway with fluted mullions, arcaded fanlight with Greek key pattern. Sungod mask (18th Century) above. Glazed doors. South front (main facade): 2 bays, 3 storey segmental bay and 3 bays. Central attic, rendered, balustrade parapet over cornice. West front: 3 bay arched loggia in centre with room over. Interior: flagged hall with black corner lozenges. Staircase circa 1840 with arcaded 1st floor landing each side (marble balusters). Ground floor bow window room has a fine, apparently 18th Century (possibly reproduction) marble chimneypiece with harvesting scenes. Exterior: Large formal garden to west with terraced and apsed centre, steps, walls and hedges. Circa 1800 piers at end of west wall. porte-cochere - (French porte-cochère, literally "coach door", also called a carriage porch) is the architectural term for a porch or portico-like structure at a main or secondary entrance to a building, through which it is possible for a horse and carriage or motor vehicle to pass, in order for the occupants to alight under cover, protected from the weather. loggia - An open-sided, roofed or vaulted gallery or portico, either free-standing or along the front or side of a building, often at an upper level. In its heyday, Coley House had a fine kitchen which was supplied with meats and vegetables from the nearby Coley Park Farm. A large area to the east of the farm was known as the Kitchen Gardens and had 3 metre (10 feet) high walls all around to protect the gardens from intruders (including the odd poacher). The gardeners' house was actually built into the wall on the south side facing the Holy Brook. By 1900 the house would have probably been at its prime, with most of the current extensions in place, including a magnificient conservatory build onto the front west wing. The conservatory being accessible from a door at the rear left that led directly into the house, and also by an entrance from the covered porch at the far left. 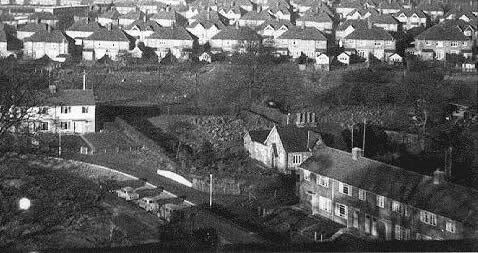 Very little remains of the beautiful gardens and features today, most having been lost to new housing and roads, and more was swallowed up by the rear extensions during the mid 1990's. Prior to the alignment of Swallows Croft roadway there was a stone fishpond located at the front (south side facing Lesford Road) of the building, which was lush with pond plants and had a fountain in the centre. Around Coley House were three acres of pleasure gardens that consisted of grassed walkways and bordered flower beds flanked by high dense hedges. Stone steps led up tiered levels of grassed lawn. Carefully postioned seating gave many differing views of the gardens, with some very well hidden spots for that moment of peace and quiet. A large fountain was a prominent feature near the rear of the house. The gardens flowing to the west eventually led into a medium dense wooded outcrop, with conifer trees flanking a walkway along the way. At the far end of the small woods was the North Lodge cottage, and a pathway that led to Southcote crossing the GWR railway line. Coley House, like many other mansions and manor houses were commandeered by the military during war time for many purposes. 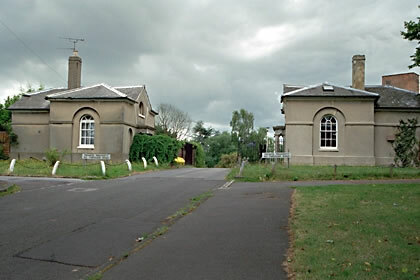 Coley House was first used by the War Department in 1941 as a temporary troop camp for soldiers from all over England as they prepared for war deployment. 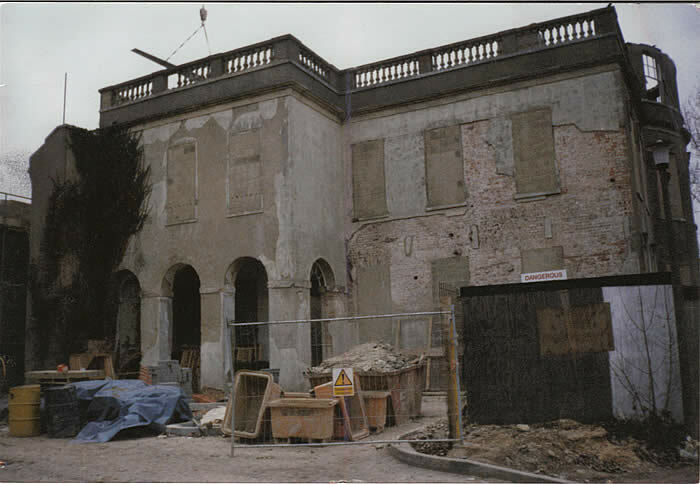 Many mansions, like Dunorlan Park in Royal Tunbridge Wells for example, were also used to initially house troops but after these were deployed to the war, and with the introduction of the War Damage Commission in 1941, the department continued to utilise the mansions for this cause. The War Damage Commission was indeed located somewhere in Reading and was known as the HQ for the No.6 Region (Southern). It is fairly certain it was located at Coley House from 1942. The photo above is of a young lady named Susan Aston taken in 1940. 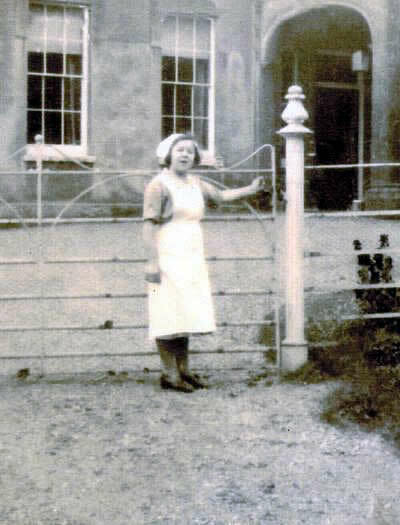 In this photo she was 16 years old and worked as a domestic at Coley House for a few years. Her her older sister also worked at the estate. In 1941 the troops were already starting to arrive at the Coley House and her services were no longer required. She returned to her home in Hartlepool. In 1942, Susan received her call-up papers on her 18th birthday and joined the Royal Ordnance Factory at Aycliffe near Hartlepool, working with ammunitions. After the Second World War, the Ministry of Agriculture, Fisheries and Food, occupied Coley House as their Reading headquarters. Known then as the Board of Agriculture, this government department was responsible for the safety and support of our farming, fishing and food industries. The MAFF also later built more buildings on the grounds and had large enclosures for animal research at the rear, especially sheep. The MAFF would hold an annual Christmas party for the children of the staff working at the department. Located in the main reception area of the mansion, games were organised and food was generously provided, with Santa arriving to deliver a present to all the children attending. I can tell you as a certainty that the War Damage Commission was at Coley House during the latter part of the war and later. This is from my own knowledge. We lived in Reading and I was at Reading School up to May 1947 (when I was called up). My father worked for the War Damage Commission from sometime during the war until sometime in 1947. During his time there I frequently went to Coley House to meet him when he had finished work. This would certainly have been in the summer months of 1944, 1945, and 1946. Maybe also in 1943. Under your list of Residents you have the War Damage Commission as being at Coley House from 1941 to 1945, and MAFF from c1946. I am convinced that the War Damage Commission was there in the summer of 1946. By the 1980's the MAFF like many government departments were having to downsize and cut back on many facilities that were considered cost burdens. Coley House was an expensive building to maintain and needed a costly makeover to keep the house in good order. 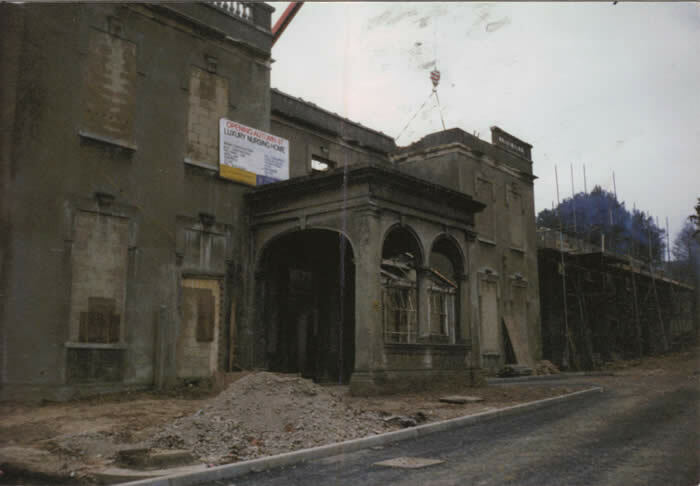 By the mid 1980's the MAFF had moved out of Coley House and plans were made to have some of the grounds to the west allocated for housing. This would eventually result in the newest MAFF building, built as recently as 1968 at the rear left of the mansion, being bulldozed to make way for the Swallows Croft housing. for almost 10 years before restoration begins. The house was heavily bricked up, including all the windows, in an attempt to stop intruders and vandals. It wasn't long before the vegetation took hold and started to give the place a very derelict look. Ivy took hold at the rear and west side, eagerly climbing its way, unabated, to reach the roof level. Eventually the sealed house was compromised and intruders entered the house. Some were children just exploring the house with a sense of adventure and mystery, but others were there to vandalise or destroy what was really a part of their own estates history. It was during one of these latter visits that a fire was started near the once majestic stairway, and sadly it was destroyed, with only a couple of marble columns left standing. Note: The sensus information for former residents of Coley House and the lodges has moved to its own page. Click HERE to visit. The main entrance to Coley House was via Coley Avenue (earlier known as Coley Lane). After leaving the Bath Road the lane travels about ½ mile (0.8 km) in a fairly straight line with a slight curve to the left before approaching the two main lodges. Known commonly as the East and West Lodges (which are also still in situ today), they were built at the same time as the main Coley House by John McConnell, again using architect D.A. Alexander. Early 19th Century. Architect D A Alexander. 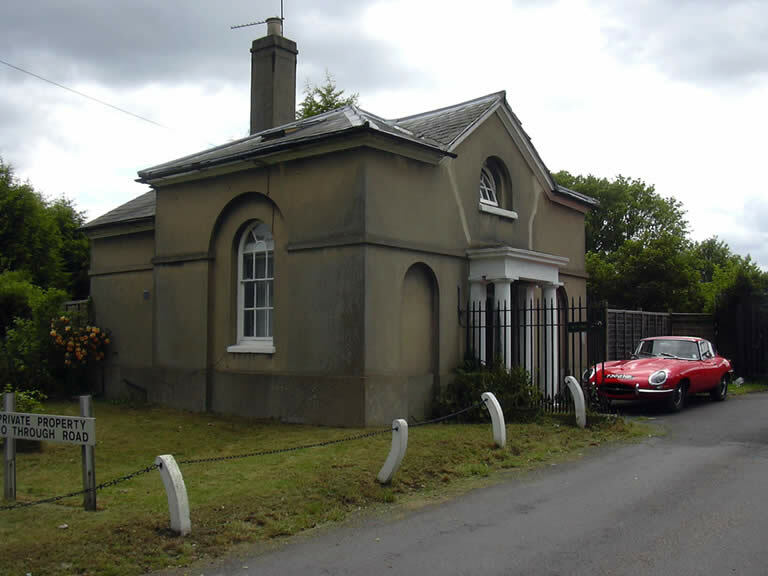 East and West Lodges: 1½ storeys rendered. Matching lodges with hipped slate roofs. Facing fronts with plinths and string over ground floor. Projecting Doric portico (stone) and 6 panel door each. Flanking blind arched recesses. Central small arched window above with radiating glazing, gable over. Moulded wooden cornice continued up gable verges. On north front, string becomes impost mould to an arched glazing bar sash window in arched recess, cornice continued. Further set back extension. The Lodges are linked by cast-iron railings with low arrow head dog-rails. Paneled standards to gates, side gate by West Lodge. 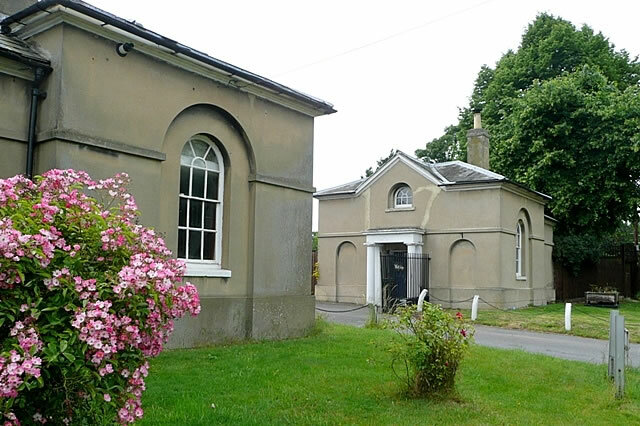 Both the East and West Lodges are listed Heritage II buildings, but are available as residential property and can be purchased just as a normal house, but there are restrictions on any modifications to the structure. At the other end of estate was the North Lodge (actually it is at the west end of the estate). The North Lodge was demolished in the 1990's to make way for some modern housing. The lodge had large gardens to the side and rear, where mainly vegetables were grown to supplement the supply to Coley House. The front garden was small with a lawn and pleasant flower borders surrounded by small to medium hedges. 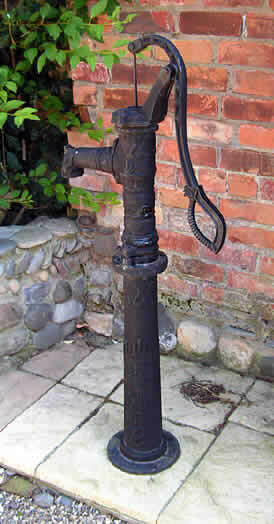 Centrally located in the front garden was a water hand pump (Image of similar hand pump). During its latter years the Lodge was privately owned. Before Coley Park became a housing estate, original access to the North Lodge was via a small lane that traversed the rear of the estate commencing at the West Lodge on Coley Avenue. This lane originally continued past the lodge and into the Southcote estates. After the railway line was built the access was via the bridge at nearby Southcote Farm Lane. The lane is still a public accessway today, and is the lane leading to the right in the above photo of the East and West Lodges. A pathway also led from the North Lodge through the wooded area and along the conifer-lined gardens, back to Coley House. In spring, the verges of the pathway were alive with bluebells and daffodils.